I am happy to introduce you to three of my dachshund friends. They are Hansel, Gretel, and Rosalie, and they live with their mother Sheila. 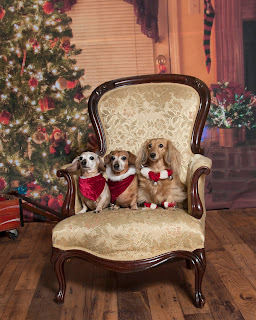 Sheila is another Doxieposse friend, and she is a great dachshund person. I love the beautiful photos she has shared, and the stories about her sweet doxies. I think you will, too! 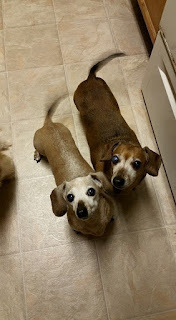 Sheila adds more background for Hansel and Gretel: "They are a bonded brother and sister who were the only survivors of their litter and weighed ½ pound each at birth. They have had a multitude of health problems. I had a vet once tell me they should have been put down as puppies but I said no. 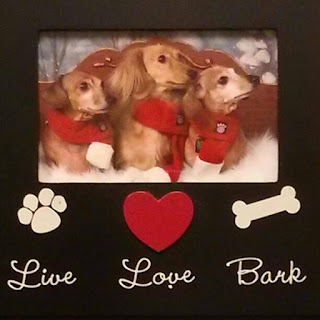 I took them from what I considered a bad home breeder." Sheila: Hansel & Gretel were named by a co-worker who was from Germany and suggested it because of the German breed. Rosalie Lillian got her name from the Twilight character Rosalie Lillian Hale who was described in the books as a beautiful blonde. Sheila: Gretel is very mischievous and an instigator. She once climbed a baby gate, shredded everything she could get into, then climbed back over the gate to make it look like someone had broken in, made the mess then left. That day I had not put away the paper products after grocery shopping so she had a good time. She’s chewed the bottom fabric on her love seat, she will pull over trash cans, nose around in any bag on the floor, etc. That is why they are crated when I’m not home. Hansel hates riding in the car so bad he once got stuck behind a toilet trying to hide. I also found him inside an old dog bed once. He somehow managed to get in the part that was full of stuffing and made a huge mess in the process. Sheila: Not sure unless you consider the time they tried to chase the rabbit when I let her loose and bedlam ensued or the time they tried to help me catch the parakeet that got loose in my apartment or the time I caught them with their paws in the guinea pig cages rocking them back and forth or the time I lost my mind thinking I could handle taking 6 dogs outside on leashes at once while dog sitting. Sheila: They love riding in the car (once you get Hansel in the car). Gretel even learned how to put her paws on the automatic window button so the window would roll down. 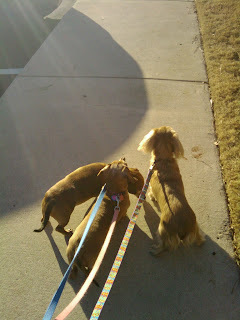 They also loved going to visit their Nana all I had to do was say the word Nana and they run to the door and start barking to leave. Sheila: Rosalie has a thing for socks to the point she tries to get the ones I’m putting on to wear with shoes. 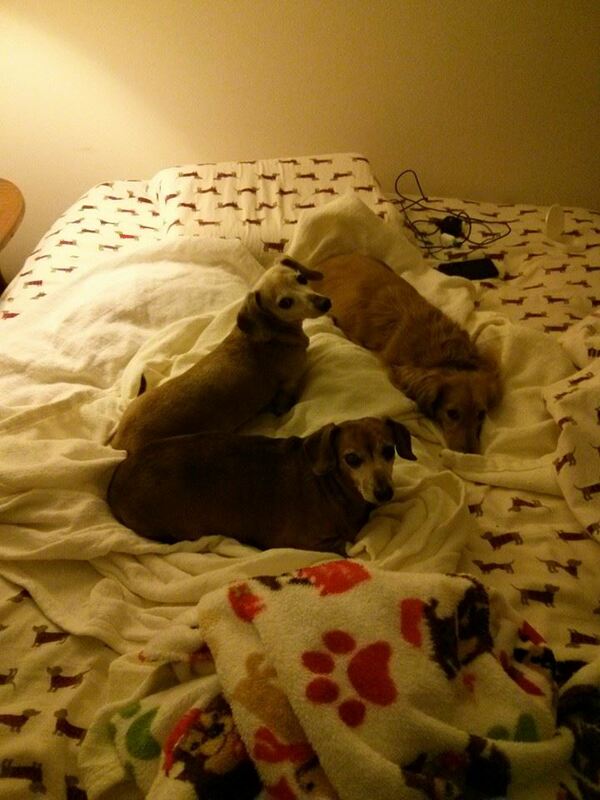 Hansel & Gretel have a favorite blanket and will pout when it’s time to be washed. They also love soft squeaky toys of any kind. I can put food on the floor and say "Leave It" and they won’t touch it. This is a command we still utilize from our obedience days. Hansel has always put his nose on my ankle when he needs to go outside. Gretel has an overbite (her bottom jaw didn’t grow correctly) and this made her able to whistle. Rosalie will hold my hand with her paws or if I’m sitting she’ll climb up, wrap her paws around my neck for a hug. Sheila: Without a doubt the unconditional love I receive every day. Aww - that is a wonderful quality! What wonderful stories about these beautiful doxies! Sheila, thank you so much for visiting today. Friends, you can leave questions or comments for Sheila in the comments section below. I only have one more Pet Meet and Greet on my upcoming calendar, and would LOVE to include your pets. If you are interested, please just leave your email in the comments. Thanks! Wishing you a great weekend! Thanks for stopping by. 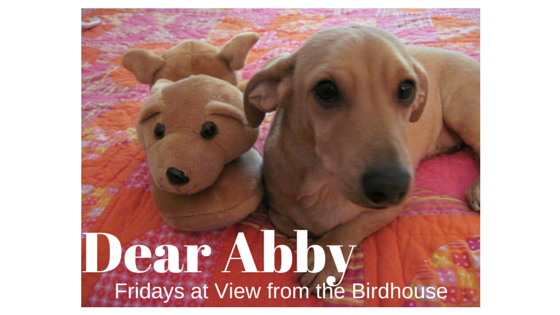 What a wonderful blog post today, Abby. 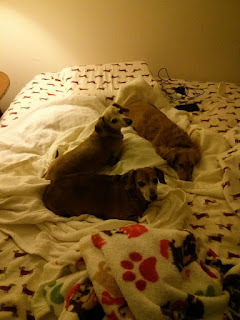 I have known Sheila for several years through the Doxieposse, but I have never heard these stories before today. What a delightful pack they are! The photos are lovely too. 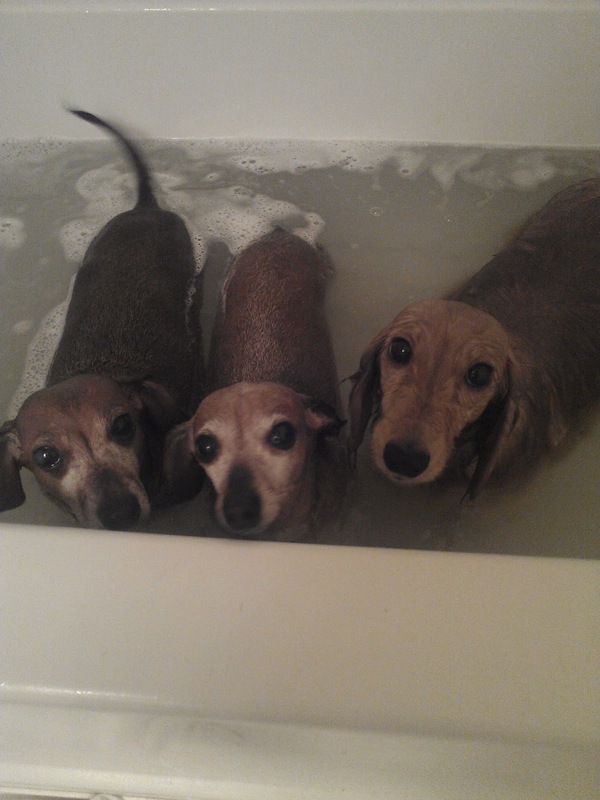 I can't even imagine having three dachshunds in the bath tub, I can barely hold on to one wet one! Abby, I really enjoyed reading about this wonderful family! The photographs are beautiful too. 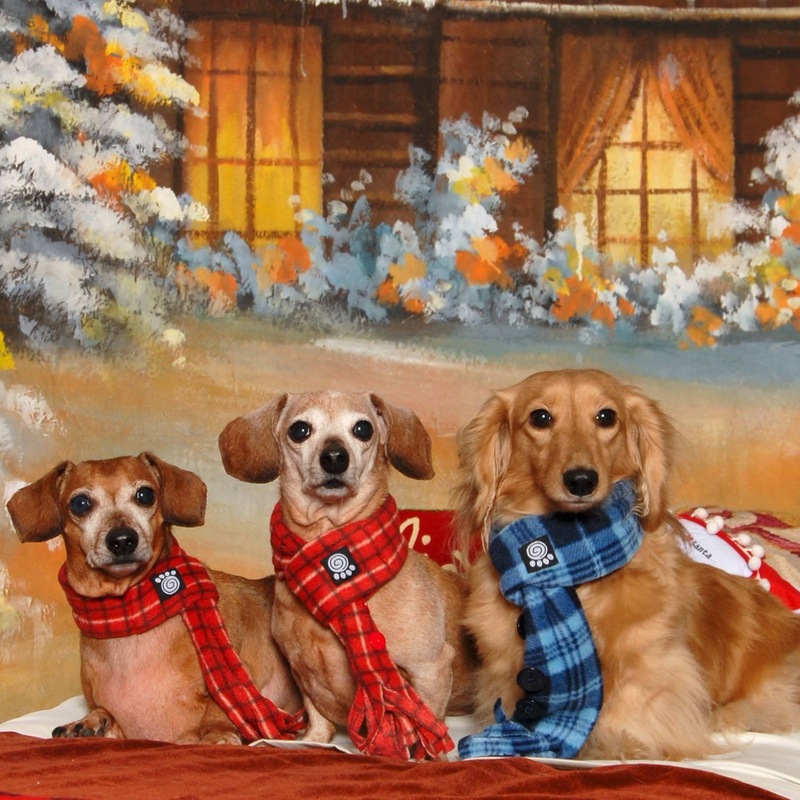 I believe Sheila could write a book about her doxies and their adventures. This was a very interesting interview. Thanks, friends! I appreciate your visits. 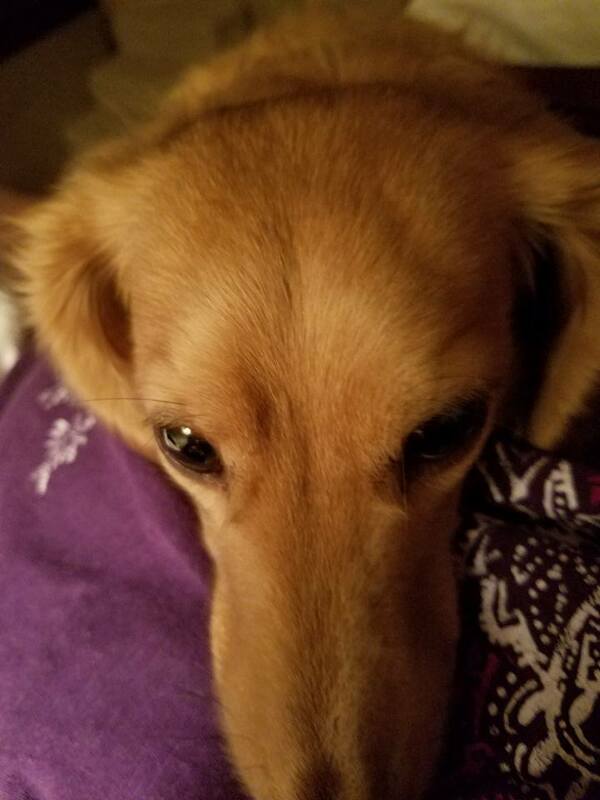 Mary, I agree that Sheila's doxie adventures would make a great book.